Jewell Greco has a Plant Spirit Medicine healing practice in Shutesbury, Massachusetts at The Source, a beautiful aquifer full of Plant Spirits. Her little healing cabin nestles in the forest next to a garden filled with herbs, flowers and food. Often, in the warmer months, some of the healing takes place outdoors accompanied by hummingbirds and butterflies. From a very young age and in many parts of the world, Jewell has been involved with plants and their healing properties. This relationship with nature became far more useful to herself and others after the training and initiation by Eliot Cowan and induction as a Lay Spiritual Healer in the Temple of Sacred Fire Healing. 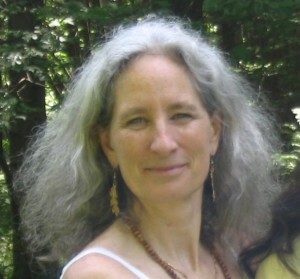 She has been practicing Plant Spirit Medicine since 2000. Jewell invites people of all walks of life and beliefs to come and receive this healing. Jewell feels that in today’s changing times, it is critical for all of us to tap into the effective and mysterious world of the plants all around us. She is impressed by the medicine’s many gifts for body, mind and spirit and embraces her clients’ discovery of what the plant spirits have in store for them.